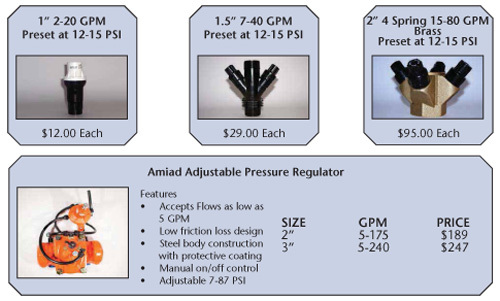 Pressure regulators are recommended for all drip systems. Failure to use a pressure regulator can result in water hammer which can damage sub-mains and drip irrigation tape. These regulators are flow activated. Water needs to be flowing through them at a constant rate to make them work.